This year, my mom had to share Mother’s Day with my sister Christina as she graduated from Marietta College. Since Marietta is only a few hours from Cleveland, we didn’t have to drive down until Sunday, the day of the ceremony. Therefore, we were able to go to Gran’s and celebrate Mother’s Day there with my mom’s family. I was surprised that all of my mom’s siblings were there, as were many of my cousins. Days at Gran’s always focus on the food. I always expect to be way overfed, and spend the day snacking from the large table full of food that is always set up. This time, we enjoyed fried chicken (boneless for me! ), mashed potatoes, biscuits, cole slaw, broccoli salad, banana chip bars, brownies, two fruit cobbler type things, and a special Mother’s Day cake, which my mother baked, and I decorated. Clearly not my most amazing work of art, but there was a very limited amount of time, and Emily was complaining that there was going to be too much icing on it. 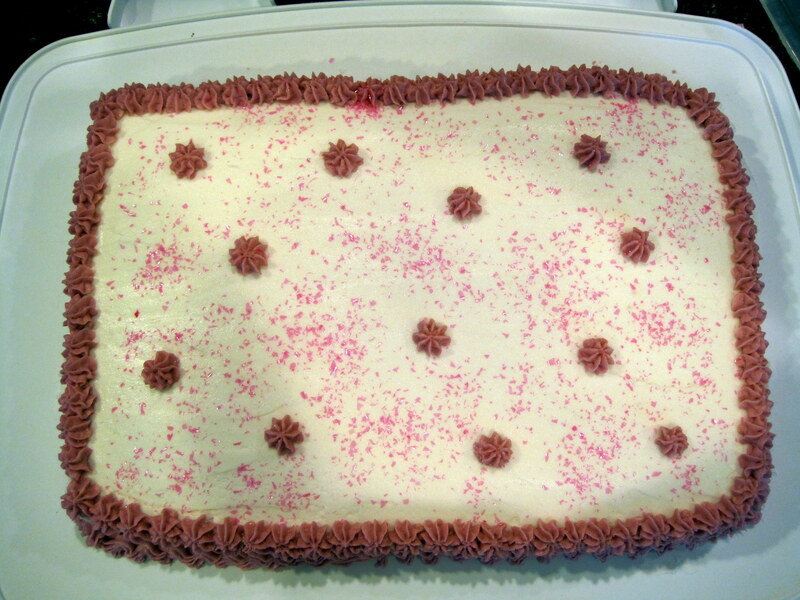 If you ask me, there’s NO SUCH THING as too much icing! That evening, I gave Mom her Mother’s Day gift a few hours early because I knew she would want to use it on the trip down to Marietta. And she certainly did. She has been asking for a Slider pillow pet for awhile now, so I finally decided to get it for her. It’s probably the ugliest and most ridiculous thing I have ever bought, but she really loved it. The next morning, I gave her a Mother’s Day card. I made it by hand, it’s clearly not very professional, but I went to Target to buy cards and just cringed at every price tag. I just couldn’t get myself to spend $6 on a silly card, so I decided to make my own! Using materials I already had, I created a perfectly decent card at no cost! When we arrived in Marietta, our first stop was the Chi Omega house, where Christina’s sorority was hosting a brunch. It was a very informal affair, with little bite sized portions of a variety of brunch foods. It was very nice, and Christina also gave us a tour of the house. It was a very nice house, smaller than what I was used to at UNC, and a little dated. A member of the House Corp was there, and made her way over to chat with us for a few minutes. She told us that the couch on which we were sitting had been purchased in the 60s! She said that it had been reupholstered a few times, but, furniture from the 1960s??? The rest of the decor was also pretty old fashioned, but overall, it was clean and comfortable, and probably a better alternative to living in a dorm. Like all graduation ceremonies, Marietta’s was exceedingly long. Unlike most graduation ceremonies, they did not request that the audience hold applause until the end of the reading of the names, which caused the delays between each candidate to be longer than necessary. The speaker was horrendous. Very long, and very inappropriate for a college graduation. Instead of an inspiring speech, challenging the graduates to go out in the world and make it better, he spoke long and loud about Watergate, the failings of the government, and his clear disdain for the current political system. It was very frustrating. The people in the row behind us threatened to walk out and “text me when it’s over,” and Christina told me that her classmates were all texting each other about how terrible and inappropriate it was. It’s too bad, but graduation speeches are overrated anyway! After looking at these pictures, I went back through some old ones and tried to find pictures at other graduations. 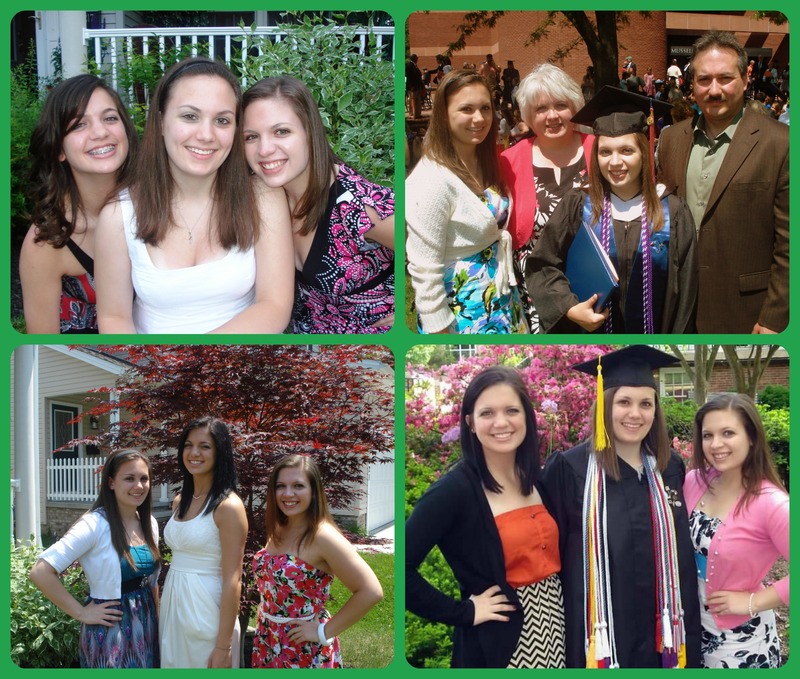 I couldn’t find any of my high school graduation with my sisters, and I didn’t attend my grad school graduation, so I only have (clockwise), Christina’s high school graduation, my college graduation, Emily’s high school graduation, and Christina’s college graduation. There’s at least one more to come as long as Emily makes it two more years! After the ceremony, we had dinner at Marietta Brewing Company. I was exhausted from the long trip and boring ceremony, and my dad had dropped me off to reserve a table while everyone else was helping Christina get the last items out of her dorm room and into her car. Being in a brewery, I had to try a local brew! The beer and the food were equally delicious, and I was even tempted to by RJJ a t-shirt. Read my full review on Yelp! 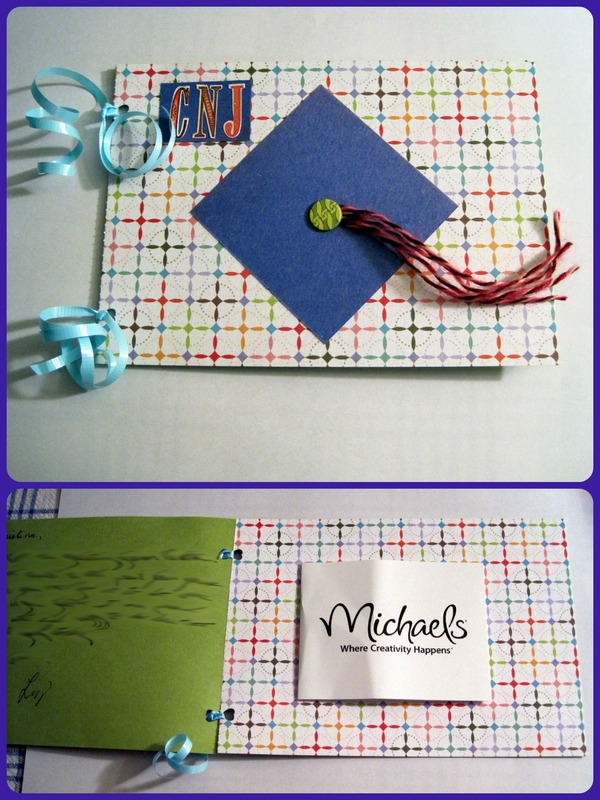 At dinner, I gave Christina her graduation gift, a gift card to to Michael’s from me, RJJ, and Emily. I also created a handmade card for her, which she seemed to enjoy. After dinner we made the drive back to Cleveland, Christina’s and my dad’s cars both full of her belongings. We ended the evening with Dairy Queen and a tv movie!